Hitler’s rule over Europe was nothing short of horrifying for those who lived in fear of their lives. In David Leveaux’s The Exception, those times of brutal uncertainty peer through the lens with tense ambiguity reaching beyond the facade of regimented orders to show a touch of nuanced humanity. Set in 1940’s Holland, the exiled Kaiser Wilhelm II, played with effortless fervour by Christopher Plummer, mellowing in his twilight years, hungers to be restored to his German Throne. His ever-loyal wife Princess Hermine (Janet McTeer) staunchly stands by his side, reprimanding him for his blasé attitude and his runaway opinions. With a constant threat lingering on his life through assassination attempts, Captain Stefan Brandt (Jai Courtney) is assigned to protect him by the SS. 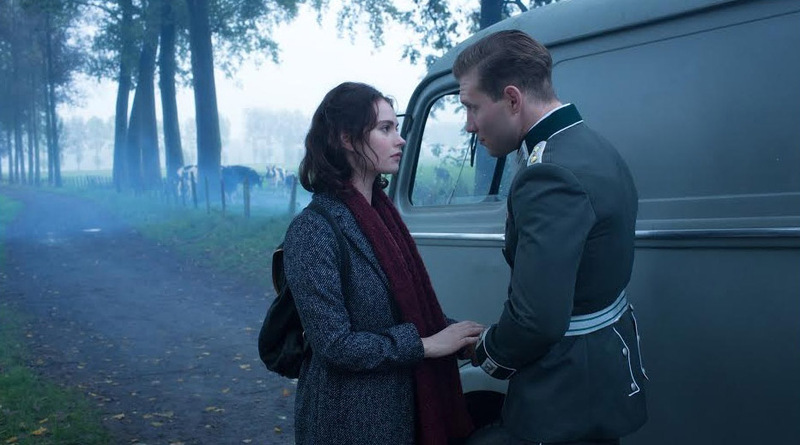 In the midst of the household is a Dutch maid, Meike de Jong (Lily James), a firm favourite of the Kaiser who becomes entangled with a romantic dalliance with Brandt, but with the threat of a spy lurking in the town. Lead with sexual enthusiasm over conversation, there is a niggling feeling that James’s Meike isn’t who she makes out to be. The first telltale sign is when she leads the charge with her overly confident manner when she offers herself to Brandt in his living quarters. Their love seems to be built on carnal passions, behind closed doors, the pair is very rarely seen together outside of a bed but in public view, glances and stolen moments are met with suspicion from Brandt. Leaveaux has taken a brave step in revealing the humanity beyond the face of evil, Plummer’s Kaiser, once a man sympathetic towards the fascist cause with his anti-Semitism has become an admirable man who likes to relax on the grounds of his estate chopping wood. From turning the blind eye on the affair between Brandt and Meike, when his wife demands her dismissal, to his disgust at the thought of torturing children when Himmler, played with rigid vigour by Eddie Marsen, declares the use of acid to be injected into their hearts. Courtney’s Brandt is also portrayed as just an upstanding Captain who only ever wanted to fight against other armies and is constantly plagued with the brutal treatment of women and children at the orders of the Nazi regime. The excellent performances of the cast round out an exceptionally created well-paced story, giving the characters space enough to breath into development but not getting too heavily laden with detail. Evocative and diligently anxious as the finale fast approaches the longing for just that little more is never far away.